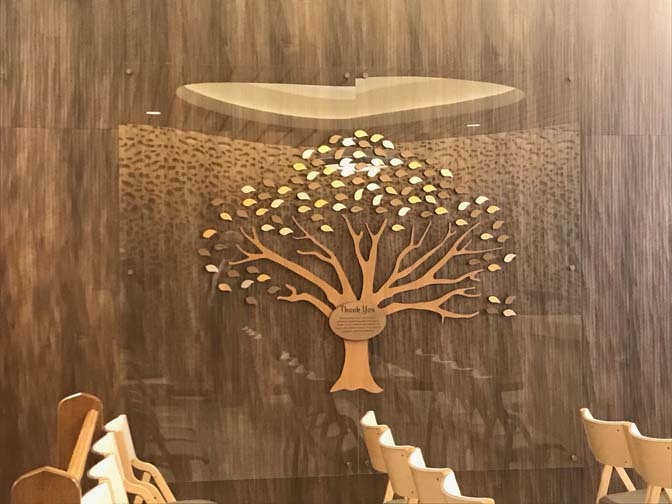 The Renown Spiritual Center and Interfaith Sanctuary celebrated its grand opening on Monday evening, March 19, 2018. The event was attended on behalf of the International Community of Christ by Bishop Gene Savoy Jr. and his wife Radheka Patel. The renovation project entered its initial planning stage in 2015. (See the article posted in August 2015 for details.) Now, after nearly three years, the project has come to fruition. 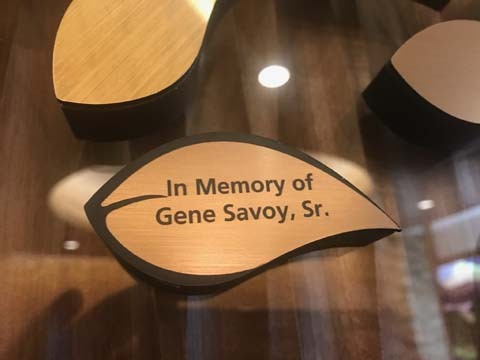 The Giving Tree on the wall of Renown’s Interfaith Chapel PHOTO: Gene Savoy Jr.
Gene Savoy Sr. sponsor plaque PHOTO: Gene Savoy Jr. 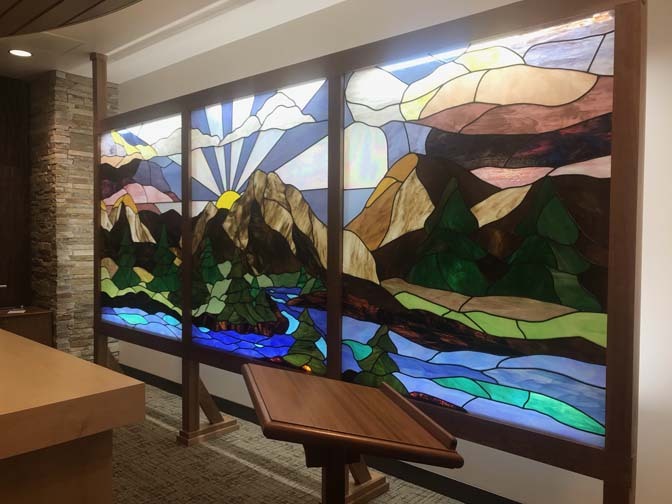 In addition, Reverend Mother Elizabeth Reece provided to additional panes of stained glass to make the original design a triptych. Stained glass triptych designed and constructed by Reverend Mother Elizabeth Reece PHOTO: Gene Savoy Jr.
the stained glass is awesome! thank you, Elizabeth! This work of art is the perfect terminology to the meaning of what is Heaven Sent. 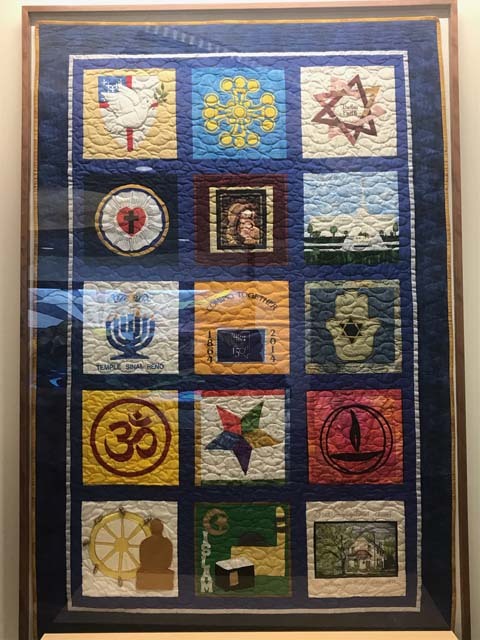 Thank you, Sister Elizabeth, for this act of Divine Inspiration for it is the one mysteries of the Art of Glass whereas, not anyone or everyone can do. Thank you from the Heart of My Sun.